Russian President Vladimir Putin travelled to Crimea on Monday to mark the fifth anniversary of Moscow's annexation of the black sea peninsula. Putin inaugurated two new power stations and will take part in celebrations in the contested region on the day he now proclaims as the "Day of Crimea's Reunification with Russia". 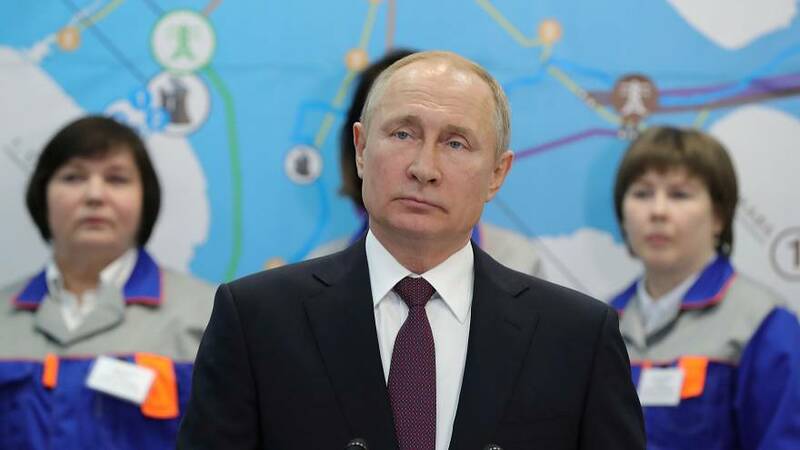 “Today another important step has been taken to strengthen the energy security of the Crimean Peninsula and of the whole south of the Russian Federation,” Putin said. The two power stations, in the cities of Sevastopol and Simferopol, were partially opened in 2018, but Monday's inauguration marks the moment they began working at full capacity. Moscow took over Crimea in 2014, which was denounced by the West as an annexation and led to sanctions being slapped on Russia. Ukraine, meanwhile, says it wants Crimea back and still recognises the peninsula as its own territory. Despite international pressure, Moscow says the matter is closed and that a referendum held in 2014 showed Crimeans want to be part of Russia. Putin's approval ratings boosted at the time of the annexation and stirred national pride in many Russians, but a FOM opinion poll published this month showed 39 percent of Russians believe the annexation brought more good than harm, which is down from 67 percent in 2014. On his Crimea trip, Putin will also meet with residents to talk about Russia's achievements and shortfalls in the peninsula over the last five years. READ MORE: Has life improved for Crimeans over the last five years? Crimea crisis: What is happening between Ukraine and Russia?